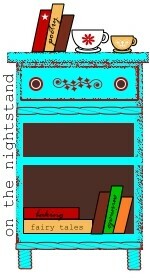 My little market has found its way to Etsy, thanks to one very sweet hubby. He gave me the gift of several uninterrupted hours to tie up the loose ends over the weekend. I promise not to bore you with constant shop updates but I would like to celebrate its opening and thought that a giveaway would be fun. 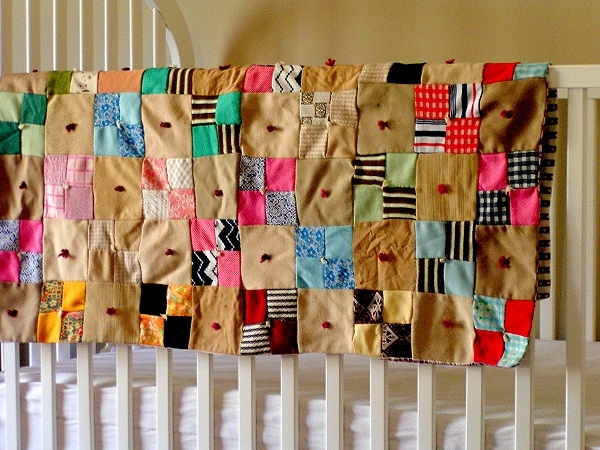 This sweet vintage hand-tied quilt is looking for a new home. I say “quilt” but please note that it does not have batting between the layers so it is pretty light-weight…more of a Summer quilt. Like many vintage linens, it does have its flaws and a few tiny spots. 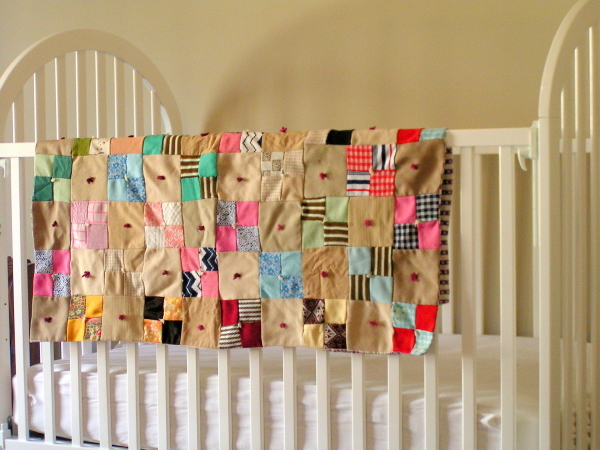 Of course, it could also be used as a wall-hanging, a play mat or a picnic blanket. Whatever strikes your fancy. You can earn up to THREE ENTRIES in the drawing by following the instructions below. 1. [REQUIRED] Visit the market and comment to this post, telling me what your favorite item is. 2. Blog about this giveaway. Feel free to include a picture of the quilt. (No need to ask permission). Leave an EXTRA comment, with a link to your post, letting me know that you did. 3. Subscribe to this blog via RSS feed or email delivery and leave an EXTRA comment letting me know. If you’re already a subscriber, you can just leave an EXTRA comment letting me know. Be sure that your email address is easily accessible for winner notification. Once notified, the winner will have 72 hours to claim the prize. If unclaimed, another winner will be selected. I’ll leave this post open for comments through noon, EST, on Tuesday, January 26th. Winner will be selected using a random number generator. Open to United States residents only. Must be 18 years of age or older to enter. p.s. Thank you all for your very kind comments about yesterday’s wall art tutorial. I’ve been overwhelmed by your response. Don’t forget to visit “the regulars” while you’re here today to say “hi” to the new folks. Have a wonderful day! I’ve made the decision not to rush. I am so looking forward to this new venture. Still, there are loose ends. Christmas is less than two weeks away and I need to turn my attention toward finishing the gifts I’ve been working on. Still, I couldn’t resist allowing you a peek inside. Don’t forget to drop in on the blog tour celebrating the release of I Love Patchwork and Sew Liberated. Today the party is at TrueUp once again – an interview with Rashida. Working on some printable Christmas gift tags for tomorrow’s post. Enjoy your Monday.